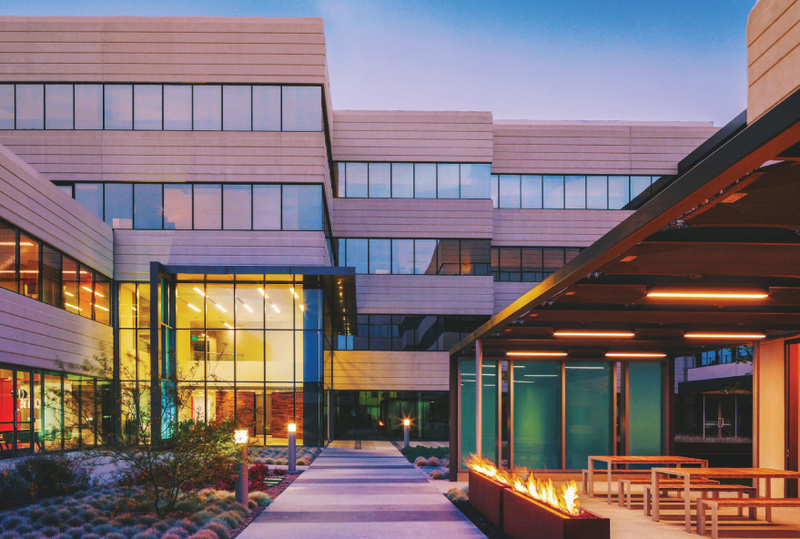 New York- based AllianceBernstein Holding LP and McCarthy Cook & Co. of Costa Mesa have acquired Canyon Plaza, a two-building office campus in Sorrento Mesa, for $33.5 million, according to CoStar Group and public data. The seller of the campus, located at 9808 and 9868 Scranton Road, was Chicago-based Jones Lang LaSalle Income Property Trust Inc. The 213,000-square-foot campus was built in 1986 and expanded in 1993. In its own statement, McCarthy Cook & Co. said the campus was 49 percent leased to CareFusion Corp. at the time of the sale. It was previously master-leased to Conexant Systems Inc.
Officials said plans are in the works for a redevelopment of common areas and lobbies, with the addition of amenities including a tenant lounge, café and fitness center. The San Diego brokerage office of Jones Lang LaSalle Inc., which represented the buyer and seller in the transaction, has been retained to handle leasing.